SpaceX Elon Musk reveals price for ticket to Mars. Are you ready? New Delhi : So now, let's get set for a trip to Mars. SpaceX CEO Elon Musk is planning to send humans to the red planet within the next decade and the cost of ticket to Mars will be affordable for 'most people in advanced economies", as revealed on Monday. The tech entrepreneur claims that the ticket fare will be feasible enough to allow people to give up their Earth-bound dwellings and move to Mars. Musk stated via Twitter that he’s “confident” moving to Mars will one day cost $500,000 for a return ticket, possibly dropping further to below $100,000. These figures, Musk explained, are “very dependent on volume.” The confidence comes as SpaceX is working to complete the Starship, a fully reusable stainless steel vehicle designed to comfortably transport around 100 humans to Mars and even beyond. The Starship uses liquid oxygen and methane to power its Raptor engines, meaning humans can set up a propellant plant on Mars to create more fuel and return to Earth. Also, SpaceX CEO claimed on Monday that “there’s a path” to building the Starship for less than the Falcon 9 SpaceX currently uses to send satellites into space, estimated to cost $62 million. SpaceX aims to send the first people to Mars as early as 2024. The trip is likely to take somewhere around three to six months. The company’s 2017 design for the Starship included a cargo area with 825 cubic meters of pressurized volume, with 40 cabins that could fit six people at the very maximum for 240 people total. 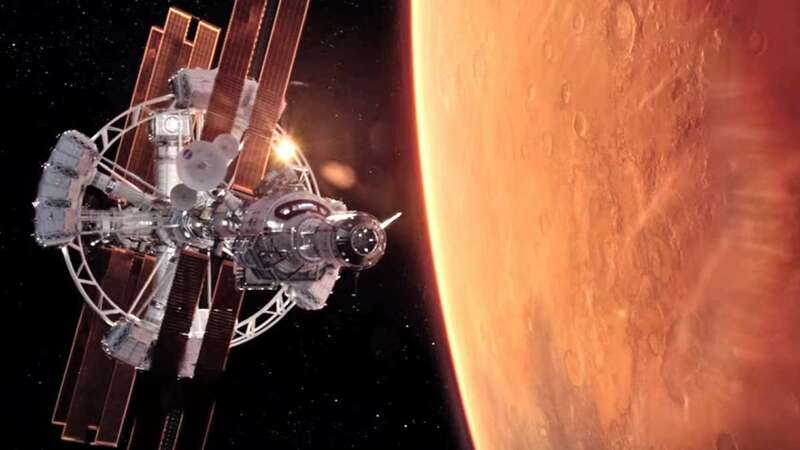 The first visitors would be tasked with setting up systems like recycling, energy and surface mobility, before turning their attention to building out into multiple Martian cities.